It's Here! 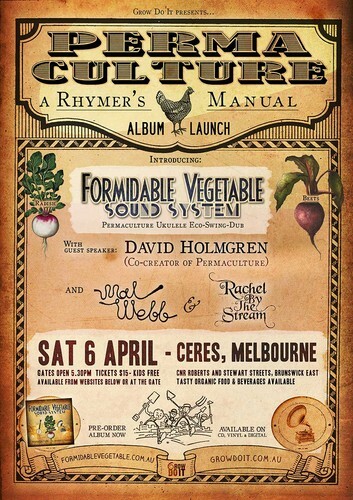 The Permaculture: A Rhymer's Manual Australian album launch will be happening on April 6th at Ceres Community Environment Park in Melbourne. Come down for some Radish Beets, organic food and bevvies as well as support from Mal Webb and Rachel By The Stream, not to mention special guest speaker, David Holmgren (co-creator of permaculture)!